Happy Easter friends! I hope each and every one of you had a fantastic Easter weekend. Mine was fabulous. Especially since we were given a three day weekend to celebrate Good Friday. - Slept as late as my internal clock would allow me. Which sadly wasn't late at all. -Enjoyed coffee in bed and a photo shoot with Sadie. She as sitting on my window and sun bathing. It was adorable. - A trip to J Crew Factory where I picked up the most comfortable maxi skirt EVER. You can see it here and on Instagram later today! - Started watching a new TV show, Teachers. - Enjoyed my awesome mail day from Thursday. I'm OBSESSED with my new phone case that I finally ordered. Seriously if y'all need a new one I highly recommend Caseitfy. The case is so sturdy and absolutely gorgeous. The toughest thing was picking my favorite and I am so happy with my choice. Oh and I got Girl Scout cookies in the mail. And they are delicious. 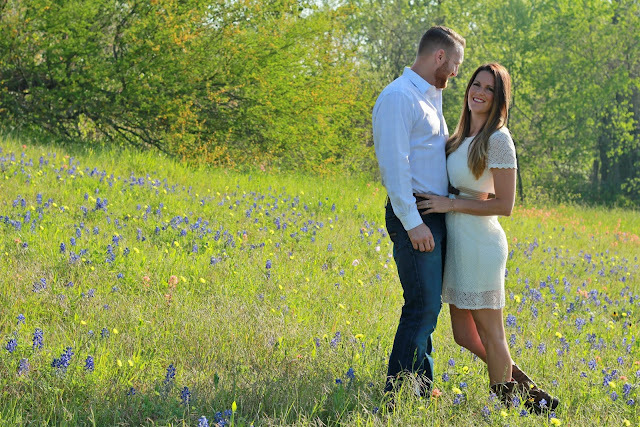 - Found the PERFECT field of blue bonnets and took some pictures of a co-worker and her future hubby. Ya'll I think these are my favorite pictures so far. 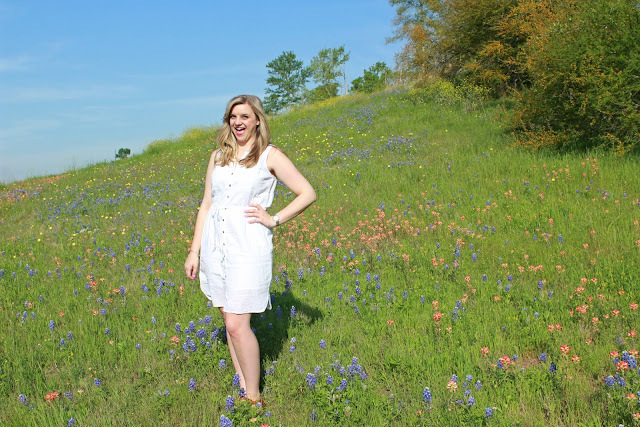 Blue bonnets make the perfect back drop. And she was super sweet and took some pictures of me! Here's a preview. - Had some fun with Snapchat and the lipstick I was wearing. That "beauty" filter is by far my favorite. But y'all, I'm slowing but surely getting obsessed with that particular form of social media. Follow me here: Kalady88. - Spent the rest of the afternoon and night at my friend Monica's house. She and I went to college together and she's my college bestie. She had my first niece Charley almost two years ago and is currently pregnant with her second baby! It's boy this time and we are so excited! - I wish I could say I went to church, but I just have not found one that I totally love yet. I'm still looking. - Finally started to enjoy my latest read. I'm currently reading YOU by Caroline Kepnes. It started so slow and I wasn't really loving it, but it is finally getting good. So naturally all I want to do it read. - Went to Easter lunch at a friend house. She put together a really great lunch and a ton of fun activities for everyone who attended. The kids present had a blast and so did all the adults. - Edited photos and got some blog posts prepped for the week! - Ate pizza rolls for dinner. - Made a HUGE decision in terms of decorating for my apartment. After much deliberation and discussion with multiple people, I've decided that rather than buy a brand new couch, I am going to completely refurbish the vintage couch that my roommate found on the side of the road! BAH!!! I'm so nervous. I so want this to look super cute and stylish and amazing. And I'm terrified it won't. 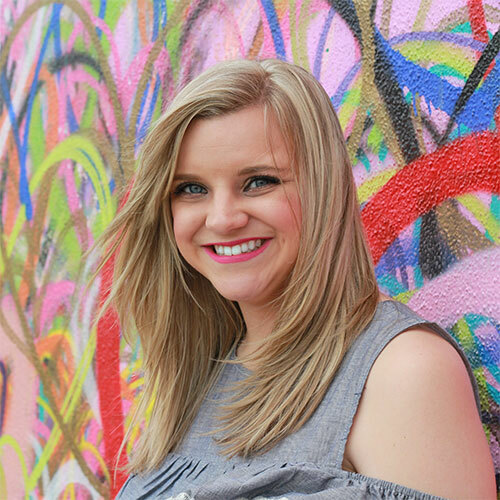 Thankfully Jenny said she would 100% help me so we have a pretty exciting project ahead of us. And yes.....the entire process WILL be blogged about. Very busy and fun Easter was had on my part. I do wish I had attended church but I just haven't found one that I'm 100% comfortable in. I'm hoping I find one soon. I think that would have made my Easter even better than what it was! Now to tackle this Monday! Linking up with Biana! That new phone case is gorgeous! Love the photos in the Blue Bonnets! Finding a church that you love is SO hard! Right before we got married, our church fired the pastor and the new one they brought in just doesn't align with our beliefs in any way, shape or form! Tons of people have actually left that church and we haven't been back since our wedding day. I keep trying different churches in the area, but I just haven't been able to find one that I love. There's one 2 blocks from my apartment that is ok so I go because it's so close that I don't really have an excuse but it's hard! I'm glad you had such a great weekend! Sounds like such a full and fun weekend!! Don't you hate when you just want to sleep in but wake up early anyways? But it's still nice to take a break from the alarm every once in a while. The blue bonnets are so beautiful, what a picture perfect location and day. Good luck with the couch! I love the idea of this post :) It seems like you had a busy, but fun weekend. Sounds like a fab weekend girl! My internal clock knows when to wake me up and it never lets me sleep in :/. The show Teachers is raunchy, but hilarious...the characters just crack me up! Those blue bonnet fields are gorgeous, such a pretty backdrop, can't wait to see them for myself next year!! Woohoo for refurbishing the couch, it might seem like a daunting task, but once you're finished with it you will love it I'm sure! oh those photos look awesome! and hayyyyyyyyyy added you on snapchat YAY! 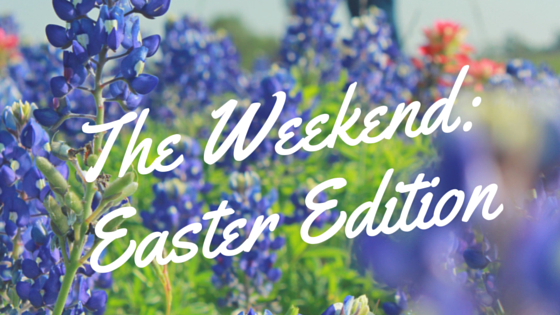 It sounds like you had the best Easter weekend! We were in the country so we didn't go to church either, which I was really surprised that my mom was ok with. 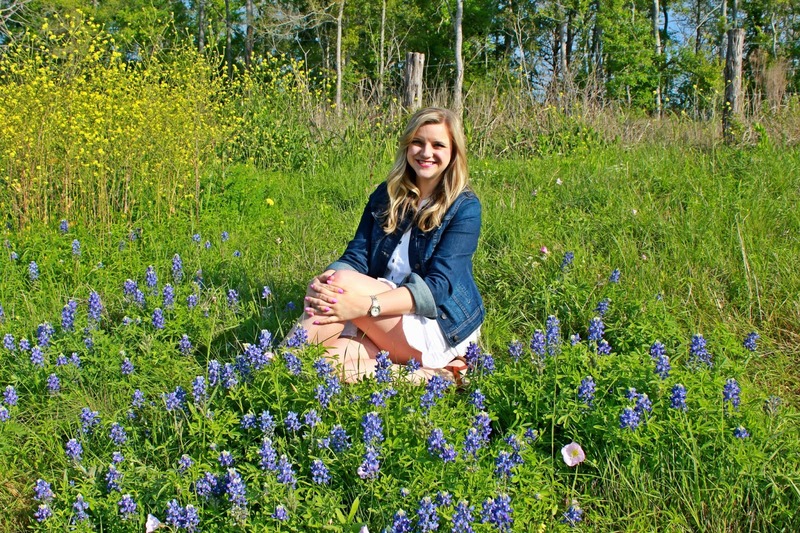 I love all of your bluebonnet pictures and that you finally got to get your picture taken in them!